For drivers in Florida and anywhere in the U.S., auto insurance is essential. It protects against exposures like fire, theft, collisions, and water damage and it protects against liability. Auto insurance is easy to find but the right auto insurance solution is not easy to find. At the Earl Bacon Agency we have a comprehensive auto insurance program through which we write custom-tailored policies and packages that meet the needs of individual clients. We adapt to clients' needs and meet these needs for the best price. Contact an agent or request a quote to get started or read on to learn more. Auto insurance begins with coverages that protect vehicles, drivers, passengers, and property. These are base coverages and provide a strong foundation of protection. Additional coverages protect against extended liability and protect equipment, special parts, and other assets. 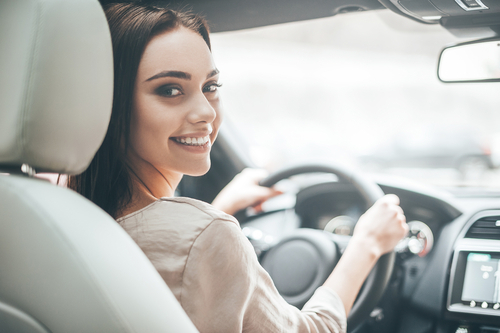 At the Earl Bacon Agency we offer the coverages anyone needs to stay fully secure for minimal costs and we find the right mix of coverages for each individual driver. We work with different carriers to ensure that you have the greatest possible selection of coverages and policy options, and as a result you can find the right solution. For Floridians, driving comes with some hazards that drivers in other states do not face; flooding and tropical storms included. For this reason, having coverages that protect against the damages that can occur as a result of these hazards is wise. We can combine insurance for flooding and tropical storms with auto insurance and can help you save time as a result. We can also combine auto insurance with home insurance, and this helps you save time and money. Speak with an agent to learn more about this combination and other combinations. Auto insurance is not a commodity; it’s an individually-tailored tool for protection. We create policies and/or packages for this type of insurance with price in mind, but price is not a determining factor. We assess clients’ needs, goals, and situations and we create policies that provide full protection for the best price. This is how we keep Florida drivers secure. We believe in giving every client the most value and the best insurance experience possible. To ensure that we do this, we provide services that augment products and that add value to the policies and packages we deliver. We manage risk and claims and we provide ongoing education. This helps clients reduce costs and have advocates in the events that claims are filed. It also helps clients get the information they need in order to make the best decisions about their insurance, including making the best investments. We monitor policies regularly and contact clients before annual reviews. This ensures that coverages and policies are always current and therefore effective and that rates are always appropriate. We’re also fully available, which means that clients can reach whenever and however they need to reach us. Via text, email, phone calls, and/or personal interactions, we’re available. Additionally, we make living and working in our service areas easier by giving back to communities in these areas. We sponsor and support charities and we participate in and support events and other activities in the communities we serve that celebrate these communities and help the communities grow. These efforts help us contribute to our service areas and help make insurance beneficial for clients and for other residents of Northwest Florida.